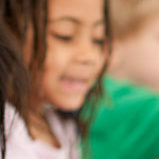 The Children’s Center has on-going enrollment, based on classroom availability. Parents/caregivers must complete the enrollment packet and return it to the Center. The parent/caregiver is required to schedule an orientation upon completing the enrollment paperwork. We are happy to assist in the enrollment process or answer questions that arise. We have staff on-site to assist parents with Spanish as a primary language. Families have the option of completing the necessary steps to qualify for tuition assistance through the enrollment process. Tuition Assistance can cover up to 30% of tuition costs and even more if a family has multiple children at the Center. The Children’s Center is an ABC designated facility and can help families apply for SC Voucher Assistance. Children who attend high-quality pre-k programs do better in school from the first day of kindergarten through their post-secondary years. Compared with peers who have not had pre-k, they have higher achievement test scores; they repeat grades far less often; they need less special education; they graduate from high school at substantially higher rates; and they are more likely to attend college.